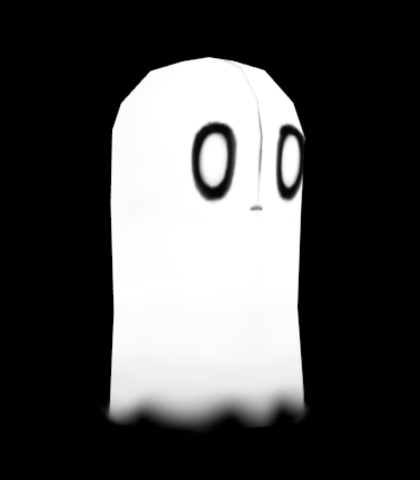 Undertale 3D is a fangame being developed pretty much by only one person (myself). The title itself is pretty self-explanatory; it's Undertale in 3d. I'm making the first portion of the game only, though there will be some extra content if you bought the game on steam, so that's why there are some extra voices (Like Sans' or Papyrus'). There will be an option to turn off the voices. 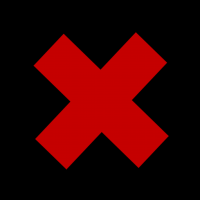 These will not be implemented until the 2nd or 3rd pre-release. To be honest, I think anyone could give a try to this one, but I specified "Female" and "Teen" above only because I think a teenage girls would be capable of a good voice acting while being (kind of) on their voice range. I imagine this monster's voice being really high pitched and truly depressed. Not a lot to go by, but again, give it a try. Feel free to try your own interpretation as well. It may sound stupid, but they need a voice. Their voice should be childish, as I imagine their age being about 6-8. Also, it would be good for the voice to be as androgynous as possible, since they dont have a specified gender. It will only be a few sounds nd grunts, so there won't be a lot of "lines" to record. Soothing, gentle, motherly voice. If you played the game you know exactly what you gotta aim for. *gentle* Would that make you happy? To call me.. mother? *strict/serious* Ahead of us lies the end of the Ruins, a one-way exit to the rest of the Underground. I am going to destroy it. Again, I don't expect a lot for this one. Just give it your best shot. Bein' me is the best! Yeah... It's kind of impossible to use quotes from what I've made without giving at least a little bit of information about it... but basically you'll make "two diffrent Sans". One will be prior to an event, a bit more quiet, calm, serious, and the other, your usual, laid back, lazy pile of bones. Same as with Papyrus, there are enough references out there for him, It would be surprising if you didn't had a headcanon voice for him. *nervous, confused* Where... I mean, h-how... when did you collect that many of those? *neutral, the one that you're used to* Why are you giving me that look, kid? thought I was gonna let you down this time? How do I imagine this voice? Well, just like you would imagine any frog's voice if they could talk. I think a deep, raspy voice should do it, but feel free to try any other diffrent approach that you find appropriate. If you ACT a certain way or FIGHT until you almost defeat them... They might not want to battle you anymore. Well, I feel like you might have your headcanon for this one. Anyways, I always imagine this one like a typical kind-of-depressed teenager, with a really exagerated monotone voice. Have in mind this voice will probably have a lot of reverb, to make it sound more... ghostly? I don't know. Feel free to add reverb yourself for the audition. I call it "dapper blook", do you like it...? You probably think you know what you're supposed to do for this one; energetic, kind of high pitched, slightly nasal voice with a caracteristic accent. Well, you're right... sort of. He will have very few lines, and in most of them he will not be as energetic as you're used to. Instead he will be overall quiet, even nervous at some point. So basically, try to make a tiny little bit quieter Papyrus and it should be okay. *kind of scared/nervous, pointing the next room* I'LL.. UH... GO MAKE DINNER. *neutral, as loud as usual* HEY SANS! IS EVERYTHING OKAY? Go ahead, I don't really have any kind of "headcanon voice" for this one. How about a staring contest? This is a really hard voice to choose, specially since there is no other reference for it that the "that's a wonderful idea!" voice clip from within the game. I'm looking for someone to sound like that, even though a cute and innocent younger approach wouldn't be too bad either. Have in mind that a voice filter and pitch change will be applied afterwards (you can add it yourself for the audition). *innocent, high pitched voice* Howdy! 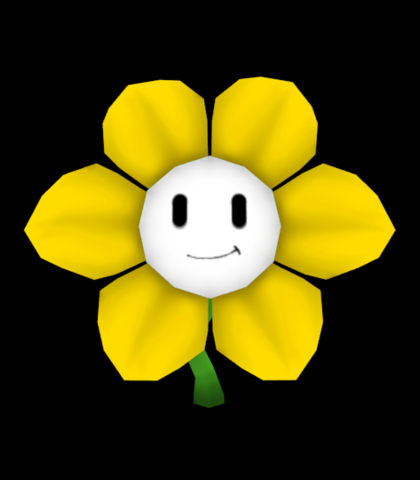 I'm Flowey. Flowey the flower! *monster-like voice* YOU IDIOT. IN THIS WORLD IT'S KILL OR BE KILLED. *Actual voice* You think you're so clever, don't you? You managed to play by your own rules.